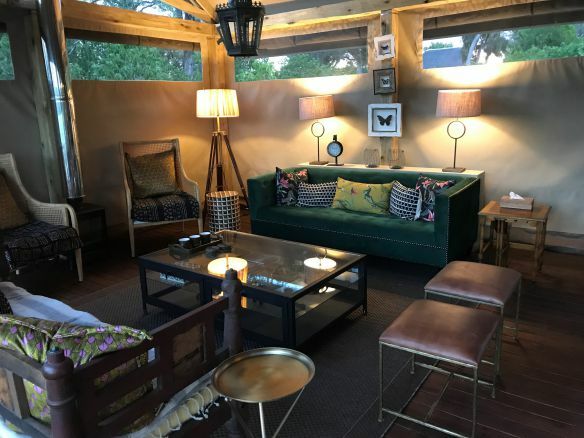 Khwai Tented Camp, open all year round, is in a community-run concession in a peaceful lagoon-side setting at the eastern border of Moremi Game Reserve. 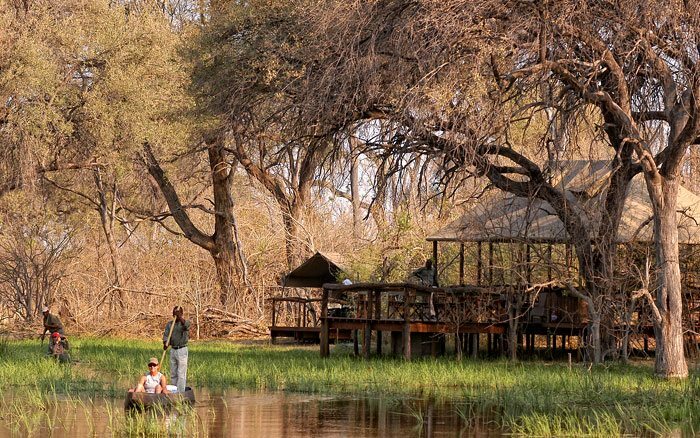 Khwai Tented Camp, open all year round, is in a community-run concession in a peaceful lagoon-side setting at the eastern border of Moremi Game Reserve. 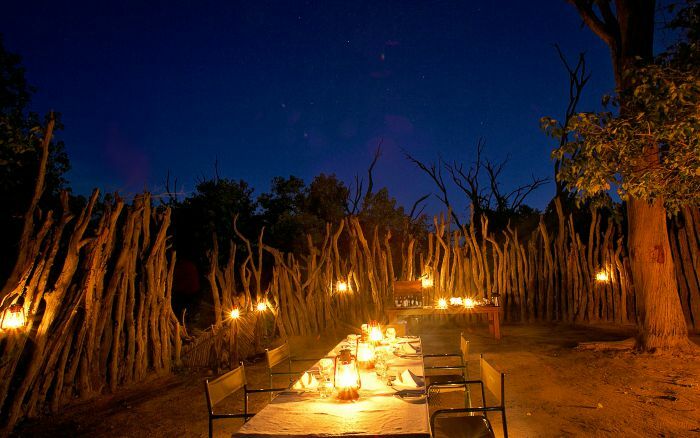 Proceeds from your stay go towards helping local people and funding conservation projects. 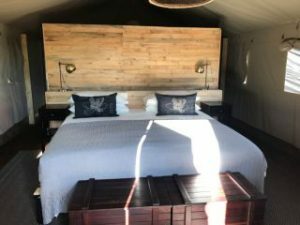 The tented accommodation is simple and recently renovated, It offers a perfectly comfortable with furniture including a storage chest and bedside tables. 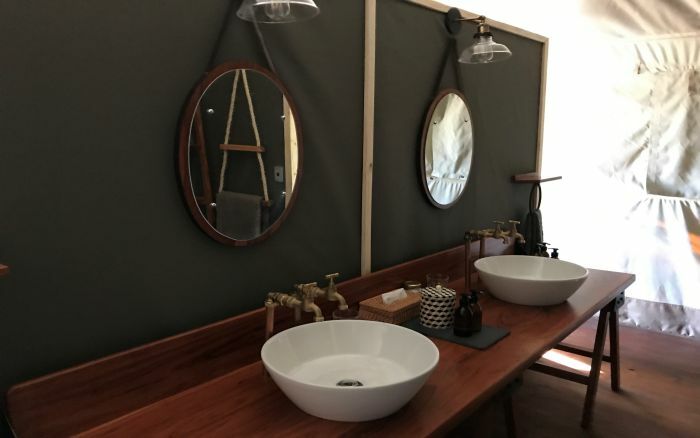 The en-suite bathroom features twin basins, a flush toilet and a shower. At the front is a shady veranda with chairs where you can sit and enjoy the sounds and sights of the bush. Tents are arranged along the water’s edge, set well apart for privacy. 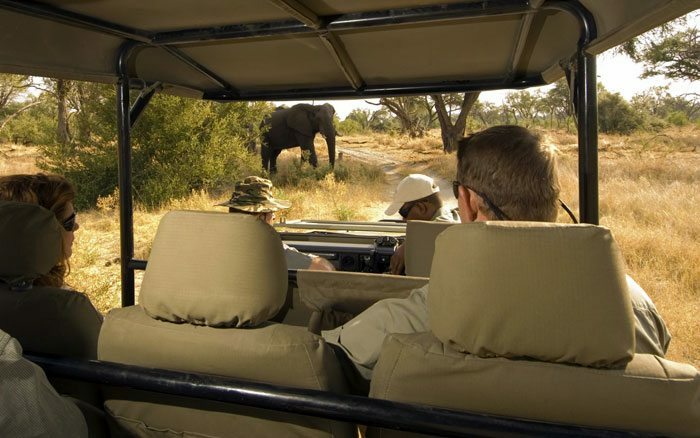 As the camp is outside the game reserve you’ll be able to enjoy night drives and walking safaris as well as traditional daytime game drives. This allows you to experience different facets of the natural world, coming face-to-face with smaller creatures, learning about plants and observing little-seen nocturnal species. Mokoro trips are available but are subject to water levels. You may also have the chance to visit Khwai village for a glimpse into local life. Back in camp you’ll have time to unwind in the central building, whose open sides offer panoramic vistas. Settle back into a sofa and catch up with some reading, enjoy a drink from the bar and a chat with other guests, as you wait for the midday heat to subside. 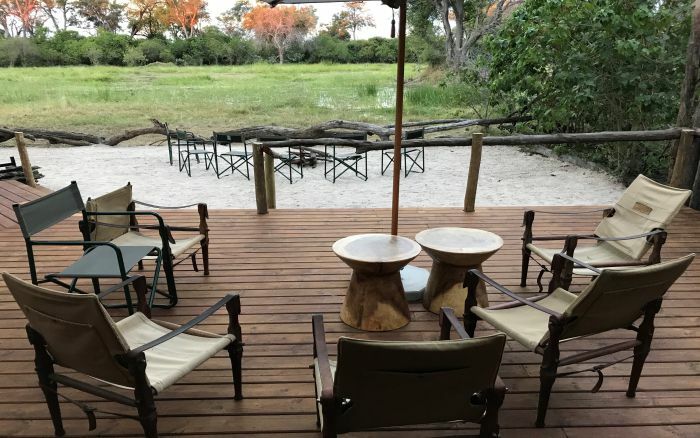 Meals are eaten on the deck together as a group and there’s a boma with a campfire where afternoon tea is served. Food at Khwai tends to be wholesome, simple and tasty. Children are welcome, though we would recommend aged 7 upwards. 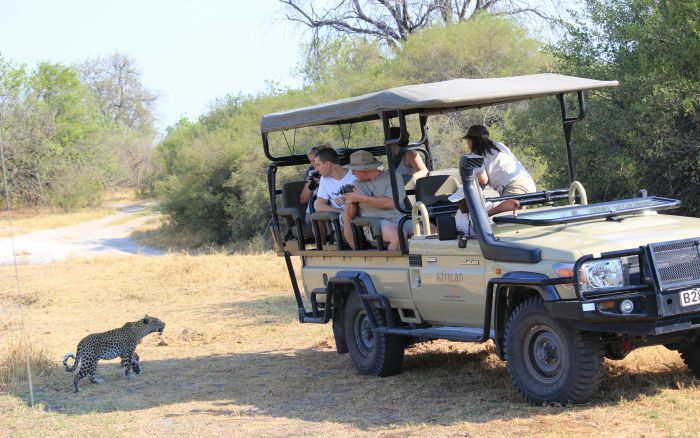 16 is the minimum age for walking safaris, though younger children can take guided nature walks around camp. The tents are the traditional, walk-in canvas variety with comfy beds, screened windows and en-suite bathrooms with flush toilets and showers, providing an authentic safari experience.